We’re glad you’re here. We are Dr. Valorie Davidson and Dr. Robert Maki, a husband and wife team that specializes in finding real solutions to common symptoms and conditions associated with hormone imbalances. If you’re feeling exhausted, stressed or simply not yourself, we want to help. As licensed naturopathic doctors, we offer diagnosis and integrated health and wellness treatment plans to get you back to living a healthy and vibrant life. Not to mention, the process can be completed virtually through email, phone or video conferencing, out of the comfort of your own home! Stop searching for answers, accepting your symptoms as they are or waiting for them to get worse. Come tackle them head on and start feeling better. Start a consultation today! 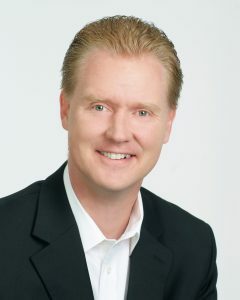 Dr. Robert Maki is a Naturopathic Doctor. He is a graduate of Bastyr University in Seattle, Washington, an accredited naturopathic medical school, which is one of the leading institutions in natural health education. Dr. Maki also received his undergraduate education from the College of St. Scholastica in Duluth, MN with a bachelors of science in biology. 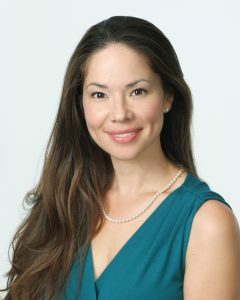 Dr. Maki is licensed as a Naturopathic Physician in the state of California. Dr. Maki’s practice focuses on natural hormone replacement therapy, thyroid disorders, diabetes cardiovascular disease, natural weight loss, disease prevention and anti-aging strategies. Dr. Maki’s philosophy is to find the cause of illness, rather than treating symptoms. He is passionate about educating, motivating and empowering his patients to take action in attaining optimal health, increasing quality of life and promoting longevity. Naturopathic Doctor Las Vegas Valorie Davidson, N.D., A.P.H. is a Naturopathic Doctor and an Advanced Practitioner of Homeopathy. She is a graduate of Bastyr University in Seattle, Washington, an accredited naturopathic medical school, which is one of the leading institutions in natural health education. Dr. Davidson also received her undergraduate education from the University of Washington with a bachelors of science in psychology. In addition to being licensed as a Naturopathic Physician in the state of Washington and California she is also credentialed as an Advanced Practitioner of Homeopathy in the state of Nevada. Dr. Davidson’s practice focuses on natural weight-loss, women’s health and natural hormone replacement, thyroid disorders, disease prevention and anti-aging strategies. Dr. Davidson’s philosophy is to find the cause of illness, rather than treating symptoms. She is passionate about educating, motivating and empowering her patients to take action in attaining optimal health, increasing quality of life and promoting longevity. Dr. Davidson is also married to Dr. Maki, very happily.